Sangam graduated with a Bachelor of Business degree in finance. 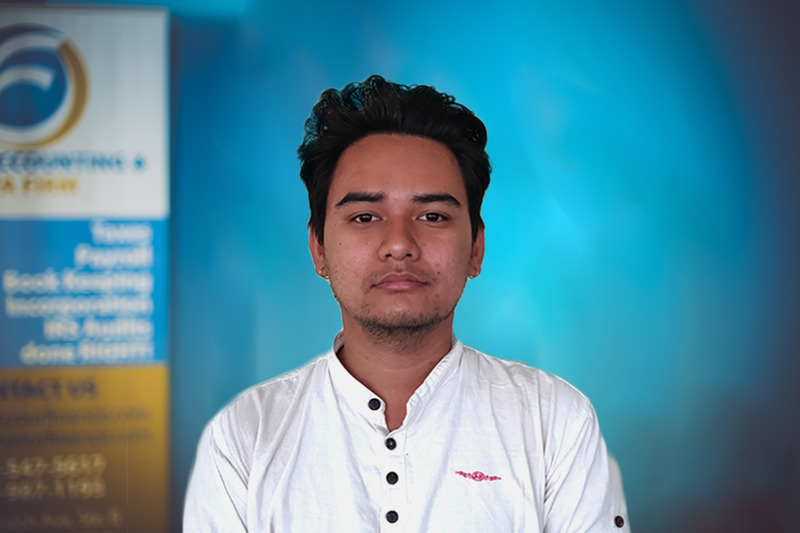 He is currently pursuing a professional degree in chartered accountancy under the Institute of Chartered Accountants of Nepal and has already completed the intermediate level. At Focus Accounting & CPA Firm, Sangam handles the day-to-day transactions, tax preparations and payrolls of clients. He also generates monthly, quarterly and annual financial reports. He specializes in income and expenses categorization. He had previously worked as an accounting and finance controller in various accounting and auditing firms, and as the chief financial accountant at RBS Pvt Ltd.
Sangam’s interests include traveling and reading books.